This month our Life App is dealing with Peace. So I could not think of a better song than the song by Sovereign Grace called Peace. A Big Bang? No…A Big GOD! The Big Bang Theory is the Naturalist way of trying to explain the creation of the universe and everything within it. It proposes that billions of years ago the universe began in a tiny, super hot and dense point called a singularity. Somehow this singularity contained everything, mass and energy that would become everything that exist today. It is mans attempt to prove that there is no God, nor was man created by God. For more information on the Big Bang and the creation of the universe I would like to suggest to you that this article at Answers In Genesis. But now the Big Bang Theory is under attack from scientist! 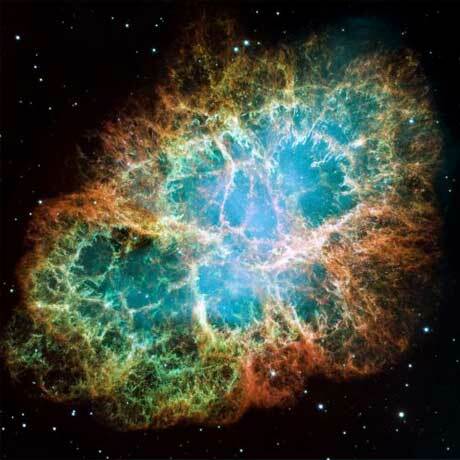 Recently scientist are stating that the universe may have had no beginning and it has always been there. So, take some time and check that article out as well. But when it all comes down to it, I still fall back to the word of God. The word of God was written by man, and man can be wrong. But the words that were written down into the Bible were God inspired. In other words, God placed the words within the man so he could pass it down to future generations. There is a clear defined time period of creation laid out in the book of Genesis. And as normal, when man is faced with something that he does not like, or does not bring honor and glory to him, man will find another way to look at it so it does brings glory to him. Yet, when you go out at night and gaze up at the stars, or watch the sun rise and set, or see the beauty in a newborns face all that glory belongs to God. The one creator, architect, engineer of all things seen and unseen, The One Big God. As followers of Christ, “I can trust God no matter what” is a phrase we all say. And for the most part we sincerely believe it and live it out. We trust God to provide for our basic needs, for our safety, even for our health and well-being. But there are certain moments when trusting God seems just a bit more difficult—often those are the times when we’re forced to wait. Throughout our life, we will face times when we’re not where we once were, but we’re not yet at our final destination. Instead, we’re somewhere in between. Put simply: we’re waiting. And it’s in the waiting that our faith is tested. Which is why allowing God to develop patience in us is important. Not only is patience a Fruit of the Spirit, it is a foundational way that we can reflect God’s character. From the very beginning God has shown patience with people. When Adam and Eve broke God’s rule, He could have killed them on the spot. Rather, He showed them grace. Yes, there were consequences, but God had a plan for their rescue. All throughout the Bible we see God showing patience in order that more people could come to know and believe in Him. God’s patience is continually focused on relationships with people. Even after we sinned, He still pursued us. He sent Jesus, His own Son to make a way for us to be with Him. He waited time after time for people to repent and make things right. Something He still does today. When we demonstrate patience, we are less likely to hurt our relationships with others. We are more likely to trust that God has something better for us in the future. And when we trust God with our future, even when we’re “in-between” on life’s journey and asking Him “Are we there yet?” we can have patience knowing that His plan and His timing are always better than our own. The Bible is full of stories and principles that help us realized the importance of discovering how to be patient. We’ll start the month with one of the best examples of what happens when you’re not patient; you lose something of value. In Genesis 25:24-34, we discover the story of Esau sacrificing his birthright for a bowl of stew. Because Esau was impatient, he lost something he could never get back. Bottom Line: When you think you can’t wait, think twice. Don’t let your lack of patience cause you to make a decision you’ll regret. Think twice about what really matters and wait patiently. For week 2, we head over to Exodus 32:1-35 and find the Israelites at the foot of Mount Sinai. Instead of obeying God and waiting for Moses to come down off the mountain, the entire nation of Israel grew impatient. They built a golden calf and began to worship it instead of worshiping God. Their lack of patience had some severe consequences. Bottom Line: When you think you can’t wait, think about what’s true. It’s easier to wait when you remember all the times God has helped you before. You can trust Him, knowing that He’ll help you wait. 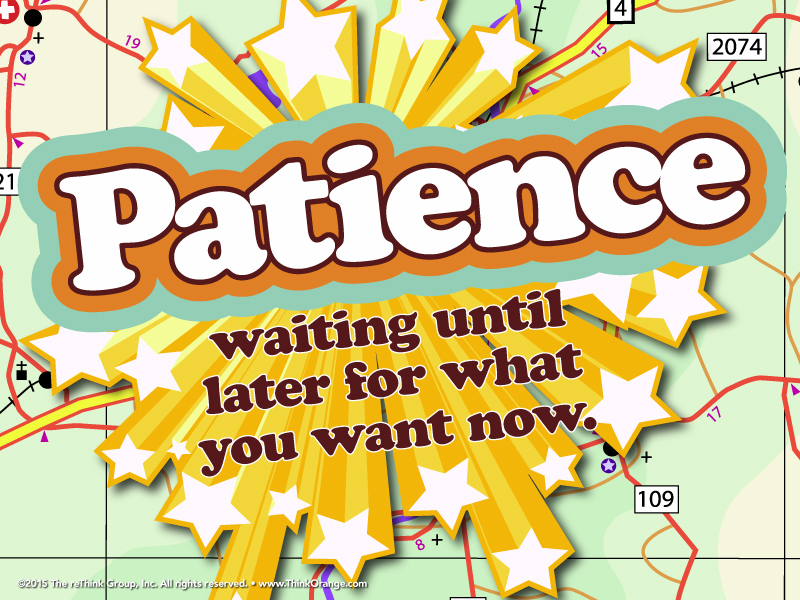 For week 3, we’ll discover an important patience principle King Solomon wrote in Proverbs 14:29. “Anyone who is patient has great understanding. But anyone who gets angry quickly shows how foolish he is.” How we respond to waiting shows others our character. Getting frustrated and angry doesn’t make the wait any less, it just makes us look foolish. Bottom Line: When you think you can’t wait, don’t lose your cool. Sometimes when you’re waiting, it’s too easy to get frustrated and become angry with others. Don’t make yourself look foolish when you have to wait. For week four, we’ll all be together in the sanctuary for a special program. It’s a surprise, so you got to be there to see it! For week five, it’s a fifth Sunday! Kindergarten through 5th grade will be in the sanctuary with families again. A fifth Sunday is a time for family worship and a time for kids to see parents in worship. So parents, take the opportunity to be the example. Bottom Line: Remember that God’s plan is bigger than yours. When you’re having a hard time waiting, remember that God has a plan for you life bigger and better than you could ever imagine. Thankfully, we don’t have to wait in our own power. Our hope is in God. He will give us the strength to remember that it’s worth the wait. It’s important to remember that learning patience doesn’t happen in a moment; it takes time. As we talk to kids about how they can reflect God through how they show patience, it’s important to remember that this is something they’ll be developing for the rest of their lives, and something we, as adults, can probably use some work on ourselves. By Dan Scott ©2015 The reThink Group. All rights reserved. http://www.ThinkOrange.com *Used by permission. Why We Use a Check-In System? In the upcoming weeks, I will be changing our check-in system over to a new program. 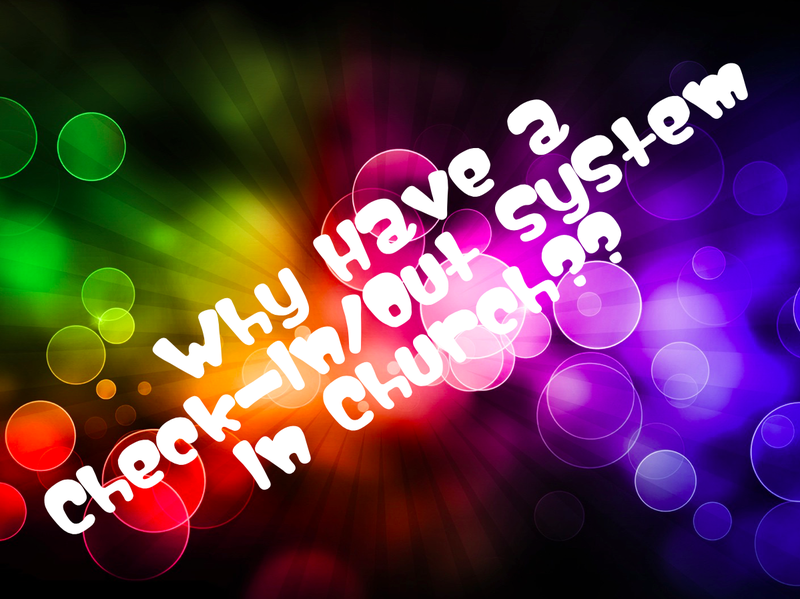 Why Have a Check-In/Out System In Church? Once I complete the testing to work out any bugs, I hope to flip the switch and everything go well! However, I get asked by people why do I insist on using a check in system at our church? We are a church that knows everyone. Nothing is going to happen here. It’s church, you got to show some trust with the people. It’s a hassle and I think it’s childish for my kids. These are some reasons that I get for not having a check-in / check-out system from parents and guardians. I consider each child that steps into the 4:12 Ministries area of Mountain View one of my kids. I have the same hassle checking in my kids, and thankfully getting my kids. Just because I am the Children’s Pastor, that does not give me any special right to have my kids treated special. They are held in class until someone with the correct parent tag comes along to get them, just as other kids are. Today I came across an excellent short article that ties into a book that I am getting to help me out with “our” kids. It states without any apology why children’s ministry and the church are the perfect target for predators of kids. It is a sad fact, but true. If you will, click on the link below and take a few minutes to read the article. I hope that it will give you some insight into why I have instated a check-in / check-out system, background checks, cameras in rooms and other procedures. The safety of our children and your peace of mind while you are in a worship service is of great importance to me. I am not saying that everything that we have done is perfect. And I am quite sure that there are bugs in the system that need squashing. But if we work together, I think we will make it the best system that we can. Lastly, if there is anything that you believe could improve or better our Children’s Ministry, please take the time to call me, email me or just talk to me. I am willing to listen to any suggestion and see what, if anything, can be done. You know, many times in life we as the parents are always on the go! We have yard work, house work, home projects, and a plethora of other things that always need to be accomplished. But how many times do your kids want you to stop and play with them? If your house is anything like mine, it is constantly! That is where we as the parents need to STOP and PLAY! We need not to worry so much what others think about the way our house looks, how dirty our car may be, or if the yard is manicured to perfection. Those things will be there after the chance you had to play with your kids are gone. There are only a few chances that we as parents will get to enjoy with our kids. Just to see how many, check out this app from Orange that will let you put in your kids graduation date (or other important dates) and let you see how many weekends, days, hours, minutes and seconds you have left. Once you see it, I think you will be shocked! Here are a few things that you can do with you kids over the next days, weeks, or months. Pick out a few and go for it. Be a kid with your kids for a bit and have some fun, not only will you build a bond with your kids, but memories will also be built that will last longer than fresh cut grass! Till next time, keep loving on the kids!